Animated movies this year have been a bag of chocolates. Yup, just like Forrest Gump. You don’t know what you’re going to get, but you know that it’s going to be awesome. Unlike conventional animation which is known for the comedic and childish elements, the plot were seen moving towards denser and even dark stories, meant not only to entertain the audience but also to give a lesson which will follow them for life. Case in point, movies like ‘The Breadwinner’ and ‘Loving Vincent’ where rich texture and densely amalgamated plotlines were used to portray human emotions which normally slip out of our attention. It’s not a surprise that these movies have been able to get Golden Globe and several other sophisticated nominations as their Christmas gifts. Let’s hope for the year 2018 transitions like these continue to happen, and we as audience keep appreciating them. Here’s the list of top animated movies of 2017. The list includes kids animated movies, Disney animated movies, Pixar animated movies and funny animated movies. Krupp is the strict and vicious principal of Jerome Horwitz Elementary School, where he makes every child’s life difficult by imposing ridiculous rules. George and Harold are fourth grade pranksters who keep spreading fun and laughter by publishing comics about a funny superhero called Mr. Underpants. After their comics are confiscated, and Krupp plans to separate them, the duo uses a 3D Hypno ring to hypnotize the principal into becoming Mr. Underpants, a very gullible superhero who thinks his cape and underpants have superpowers. The prank turns upside down when a new teacher called Poopypants tries to turn all the children into boring people who don’t know how to laugh. Captain Underpants and the prankster duo must stop Poopypants before he turns the entire world into a horde of mindless zombies. Lightning McQueen, the seven times Piston Cup champion has been thrown out of his own game. The energetic and technologically advanced new racers — the best of whom is Storm — have forced McQueen into pseudo-retirement after defeating him in the Piston Cup championship. Down and out, the champ must survive and persevere taking help of a young racer Cruz to get back in the game and prove his worth. The third installment in the famous Cars series puts you up in the driver’s seat and takes your breath away. Gru, the supervillain turned good guy, has an identity crisis when he is fired from the Anti Villain League and his wife Lucy struggles to handle his three children. However, in a turn of events, Gru discovers he has a twin brother Dru who longs to be just like his supervillain elder brother. In the midst of everyone trying to make him leave the good life he has recently adopted and the sweet smell of evil attracting him towards itself, watch what Gru will do in this third installment of the Despicable Me series. After the initial adventure at the Paddington station in the first installment of the series, the cuddly animated bear called Paddington is happy and living with the Brown family in Windsor gardens. He has become a revered member of the society spreading joy wherever he goes. Searching for a perfect gift for Aunty Lucy’s 100th birthday, he stumbles upon a dazzling pop-up book in Mr. Gruber’s antique shop. To gather money to buy that book he tries many jobs but fails. However, when the book is stolen mysteriously, Paddington must team up with Brown to find out who the thief is. Batman’s life is happening. He is an ultra-wealthy billionaire Bruce Wayne by day and the world’s fiercest superhero at night. He apprehends supervillains like Joker, Bane, and Penguin at the flick of a finger and then goes to the Batcave to party with his computer. Wait, that sounds lonely, doesn’t it? 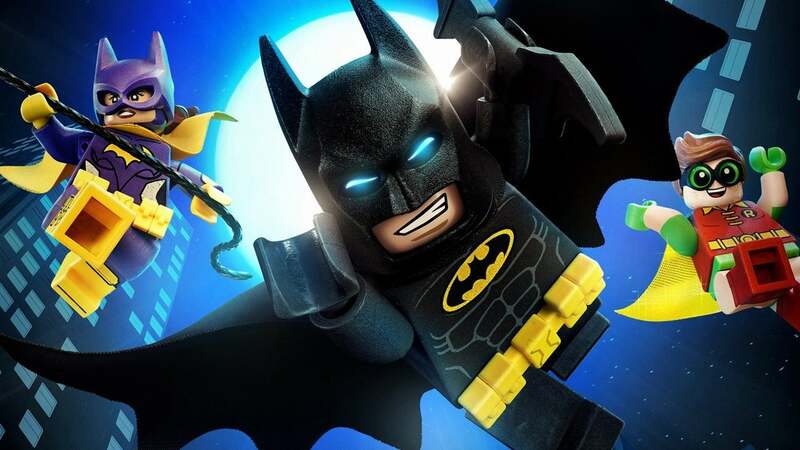 Portraying the life of ‘The Dark Knight’ upside down in an animated movie, the Warner Animation group presents to you the Lego Batman Movie. To realize that he needs to get out of the shadow of his former life and embrace the happiness that he not only is getting but also deserves, Gotham’s worst nightmare must face his own nightmares and accept the prodigy who loves him like a father. A thoroughly entertaining movie with a plot that doesn’t allow you to stop smiling. 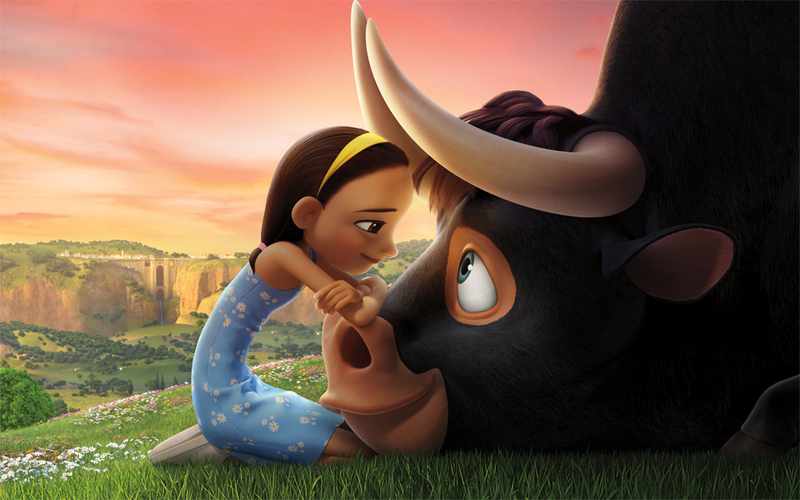 Ferdinand is a bull who looks deadly and dangerous but actually is very soft-hearted and wise. When told to attack and fight a matador in the ring, he refuses to do so. As a result, he is torn apart from his family and thrown into the forest. To return to them and prove that fighting is not the only way of life for every bull, he ventures out on an Odyssey-like journey with his friends. Watch as a beast demonstrates that he is more than just a killing machine meant to entertain humans and die mercilessly afterwards. Tim is a seven-year-old boy who has a smooth life. He gets affection from his parents and everything he can wish for. However, one day a new member enters the family, Tim’s younger brother Theodore. 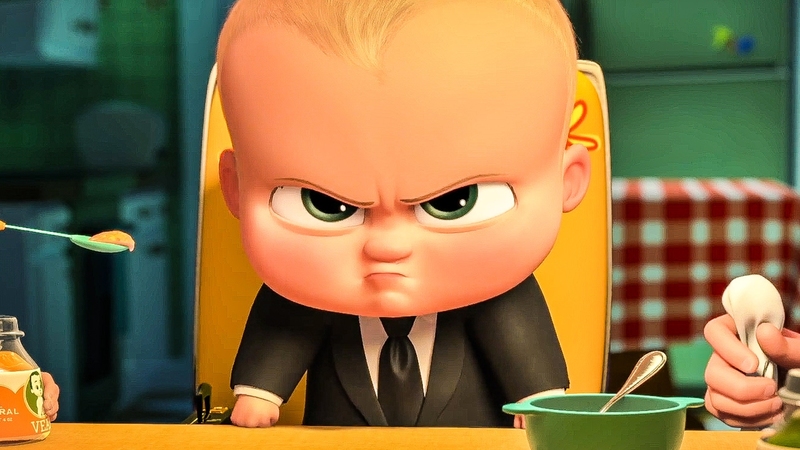 It’s not long before the baby shows himself to be The Boss Baby, an infant with the mind of an adult who has come to find out why puppies are getting more love than babies. For the benefit of all babies around the world Boss Baby and his confused elder brother must team up to expose the conspiracy against all cute infants. Stories are a source of inspiration, motivation and sometimes regeneration of the mind for all of us at some point in our life. 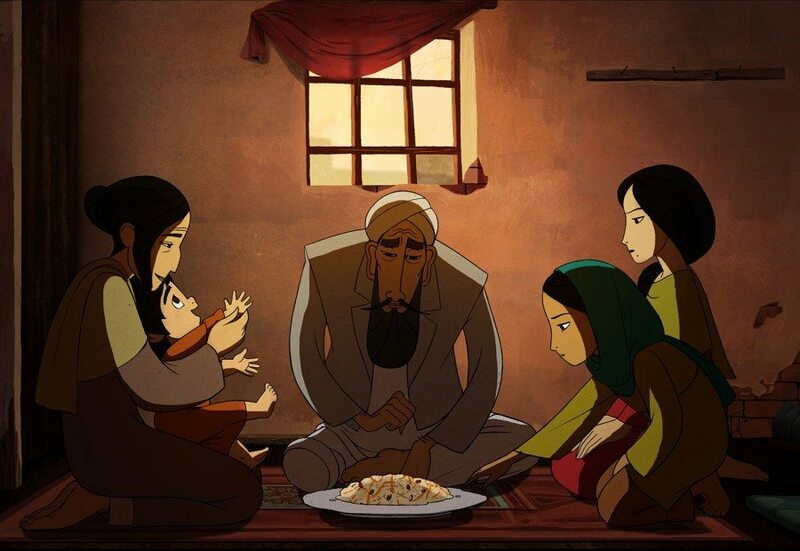 Based on the same principle executive producer Angelina Jolie brings to you ‘The Breadwinner,’ a story about stories. Parvana, an 11-year-old sweet and innocent girl in War-torn Afghanistan, has to cut her hair and don the personality of a boy when her father gets arrested and there is no one in the house to provide for the family. In her race to provide bread for her family, Parvana learns the truths of the world at a very young age, sustaining her sanity only through the stories she keeps telling herself. This Golden-Globe nominated movie should not be missed at any cost. In world’s first fully painted animated film, Dorota Kobiela and Hugh Welchman bring you ‘Loving Vincent.’ Based on the life story of Vincent Van Gogh -the famous Dutch painter- the plot delves deep into how Van Gogh lived. From the eyes of a third party observer, who has come to deliver the last letter written by Van Gogh, it tries to tell the audience how the people around the genius painter including who inspired him, interpreted him and his living style. Most importantly under what circumstances, the master painter died and how it was taken by his family. A world-class movie this one has won several accolades, including a Golden Globe nomination for the Best Animated Feature film of the year. Being a strong contender it is highly possible it ends up winning the Golden Globe too. Disney and Pixar present the animated movie of the year. Miguel is a teenager who yearns to be a musician, strumming the country chords on his endearing guitar. But due to a mysterious ban on music which his clan has been following for a long time, he can’t do it, at least not publicly. To make his dream of becoming a musician just like his idol Ernest De La Cruz come true, he travels to the land of the dead to find his great-great-grandfather and decipher the actual reason of the ban on music in his family. 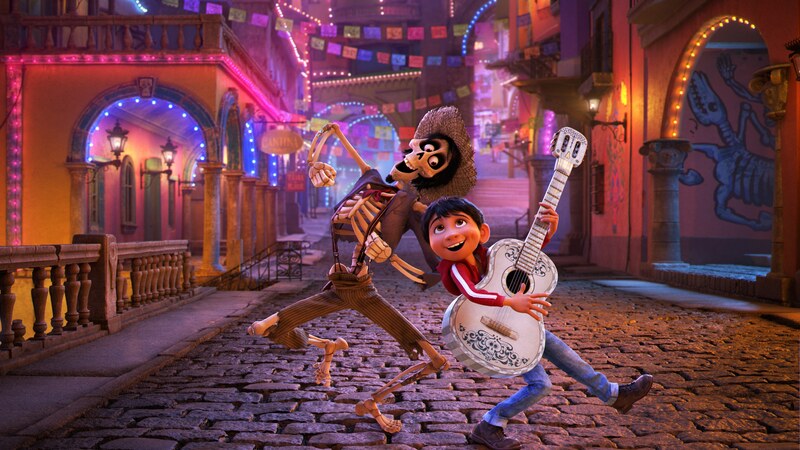 A musical journey into the colorful and eccentric land of the dead, this film will surely take your breath away just like every other Pixar movie.